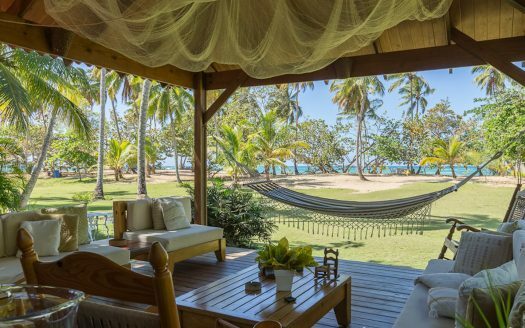 SeaLodge is beachfront – 11 bedrooms for 22 guests. Price starts at 13,450 usd per week or 1,7500 usd per night. 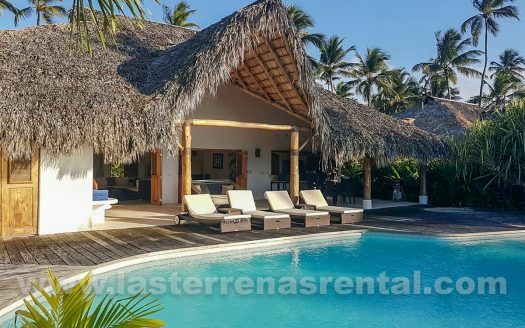 Huge 11 bedroom beachfront villa for family vacations, events and weddings. Very special and luxury villa where the master has a private lounge. The outdoor area has a large pool with bar, jacuzzi, air massage pool chairs and covered outdoor lounges. A nice path leads to the Playa Coson beach. Behind the villa a large space for events, together with a large entrance and gazebo. Details: Sat tv and wifi, 2 persons housekeeping from 8 am – 5 pm, inverter, ipod connections, jacuzzi.